Middle Eastern airlines have been on the ascendancy for over a decade. Brash newcomers seeking to disrupt a market dominated by legacy carriers notorious for high-costs and poor services. What better way to announce your arrival than through sponsorship deals? And what bigger stage than international football? With the FIFA World Cup 2014 in Brazil just around the corner carriers are redoubling their efforts to be associated with the best teams in what is sure to be a bumper year. Take Emirates, an industry leader in this field. The airline was confirmed as the Official FIFA Worldwide Partner for the 2014 World Cup last year and Emirates will be present to share the occasion with fans and players from around the world. With a long and successful history in the game, football is embedded into the Brazilian way of life and Emirates is looking to bring fans closer to the game they love. South America is an important and growing market for the carrier, which currently serves three of its major cities with daily flights from Dubai; Rio de Janiero, Sao Paulo and Buenos Aires. But that is just the tip of the iceberg for Emirates. The airline also maintains deals with the Asian Football Confederation, Arsenal FC, AC Milan, Paris Saint-Germain, Hamburger SV, Real Madrid, Olympiacos FC, Arsenal Soccer Schools Dubai, The Emirates Cup, and Zain Saudi Professional League – taking its brand around the world. In December 2012, Emirates renewed its sponsorship deal with Arsenal, extending the airline’s relationship with the English Premier League club, which dates back to 2004. The new £150 million deal grants Emirates a five year extension to its shirt partnership with the club until the end of the 2018/2019 season. As well as being one of the biggest deals in the history of the game, the agreement extends and deepens one of the strongest and most recognisable partnerships in world sport. Emirates began its relationship with AC Milan in 2007, signing up as the club’s Top Institutional Sponsor for three years providing branding rights at AC Milan’s San Siro stadium as well as at their Milanello training ground alongside ticket and hospitality benefits. In 2010, Emirates expanded its relationship with AC Milan by signing a four-year deal to become the club’s official shirt sponsor. 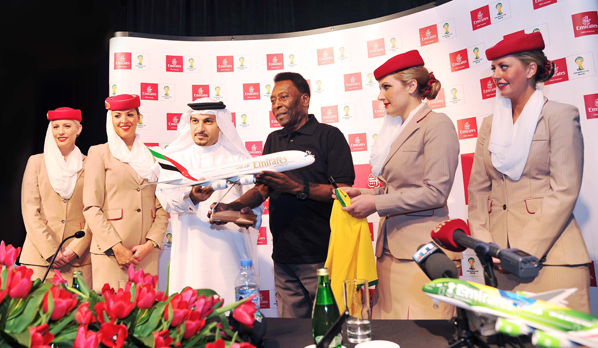 More recently the airline also signed Brazilian football legend Pelé will be one of its Global Ambassadors. It doesn’t get much bigger than that! At the time HH Sheikh Majid Al Mualla, divisional senior vice president, commercial operations, Emirates Airline explained: “Pelé is a global icon. He is recognised, respected, and an inspiration to people around the world. “He represents the best values of ‘the beautiful game’ of football, not only because he was a great player, but also because he uses the power of sports to connect people – with each other, with communities, and with opportunities. In many ways, Pelé stands for the same values that Emirates does. Not to be outdone, emirati rival Etihad Airways, the national carrier of Abu Dhabi, has been buildings its own portfolio. The high point to date came when Manchester City of England took the Premier League title on a dramatic last day of the season in 2012. It was the first time since 1968 that Manchester City has won the title in England’s top tier of football and the first time the club has lifted the Barclays Premier League trophy. 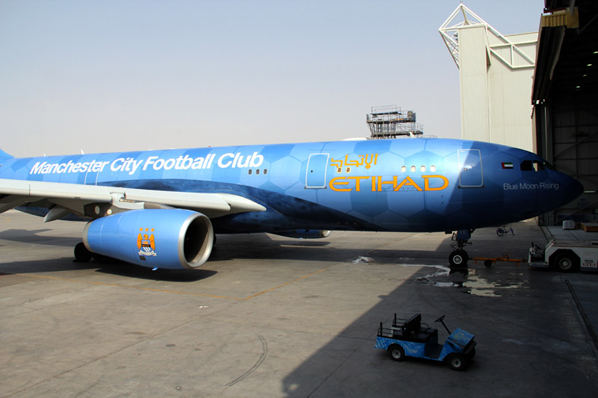 The Etihad Airways logo has been on the Manchester City shirt since 2009 and the Abu Dhabi-based airline became naming sponsor of the club’s Etihad Stadium and Campus in August 2011. The deal was validation for the ten-year partnership agreement signed between the airline and football club in 2010, significantly expanding their existing commercial relationship. Commenting on the partnership James Hogan, chief executive, Etihad Airways, said: “This is a game-changing partnership agreement that redefines the traditional sports sponsorship paradigm. “It is a once-in-a-lifetime opportunity for two iconic brands that share the same vision to promote far-reaching global awareness and business growth. “Etihad’s work with Manchester City Football Club has already yielded a significant return on our investment and we are thrilled to build on our relationship. “Their well-established name and loyal fan base have allowed us to tap into a new and increasing global audience. Etihad is also considered the World’s Leading Airline by the World Travel Awards. Regional giant Qatar Airways has been flexing its muscles, recently expanding its partnership with what many consider to be the best club in the world, Barcelona. 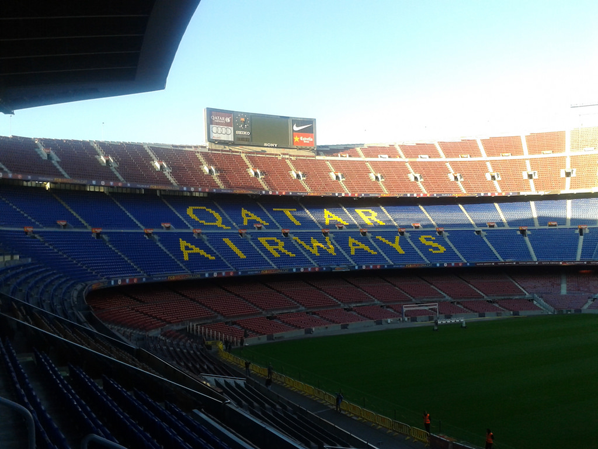 In the nearly eight months since the partnership has been in effect, the airline has launched a hugely successful partnership campaign including the Land of FCB TV commercial that has garnered more than eight million views from fans all over the world; officially sponsored the FC Barcelona Asia Tour, and introduced unique tour and match packages for fans looking to visit Barcelona through Qatar Airways Holidays division. Qatar Airways and FC Barcelona are also taking their partnership to the skies, with the airline introducing FC Barcelona’s livery for the first time on a Boeing 777 earlier this month. The aircraft, which features the distinctive Barça scarlet and blue, or ‘Blaugrana’ as it is known in Catalan, arrived from Bangkok this week to Doha International Airport. “Our commitment to Barca goes beyond having our name on the team jerseys. “We are truly fans of the team and genuinely believe that together we are ‘a team that unites the world’,” said Qatar Airways chief executive Akbar Al Baker. “We are very proud to showcase the FCB livery alongside the Qatar Airways Oryx on our aircraft. Qatar Tourism Authority also signed a deal with Paris Saint-Germain in 2013, with the home of current home of Zlatan Ibrahimovic expecting to earn up to €200m-a-year from the four-year deal. “Our association with the Qatar Tourism Authority allows us to give ourselves the means necessary for the development of the club in the direction that we envisage,” said PSG chief executive, Jean-Claude Blanc. “It clearly benefits the image, as well as the results, of the club. Another regional carrier with global aspirations, Turkish Airlines, is playing its part, signing a deal with Manchester United in March last year. According to the three and a half year sponsorship contract, all the advertising materials and logos of Turkish Airlines will be displayed on the internal screens of the Old Trafford Stadium in Manchester and all other locations of the team. Turkish Airlines will also make commercial films with the players of Manchester United Club and carry out the promotion of this sponsorship deal in all the arenas of advertising and mass media outlets. 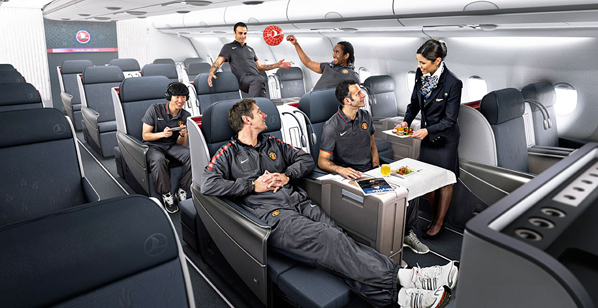 With title of “the official sponsor of Manchester United” Turkish Airlines will transport the players of the club to the tournaments and training camps as the team’s official carrier. Hamdi Topcu, chairman, Turkish Airlines said at the time the sponsorship deal was very important and this cooperation would provide a big support for Turkish Airlines which is presently advancing towards becoming a global brand. Saying that he was very happy about becoming the official carrier for one of the greatest football clubs in England, the chairman also added the deal would bring mutual benefits to both sides. With the billions of Roman bankrolling them Chelsea have been a little slow to the airline sponsorship game. 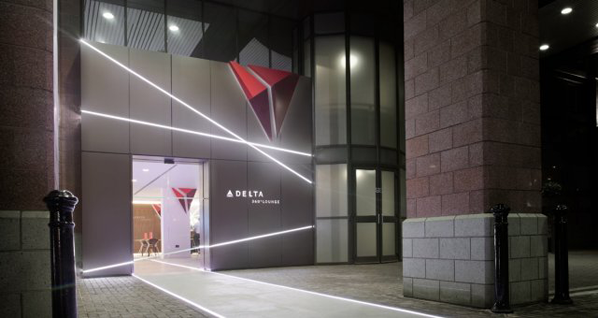 However, a deal last year did see Delta Air Lines launch the Delta 360˚ Lounge at Stamford Bridge. Located within the Millennium & Copthorne Hotel, the lounge hosts official airline partner’s VIP guests on matchdays and provides a new venue for hotel guests and visitors for breakfast and refreshments. Guests attending games will receive airline-style tickets inviting them to ‘check-in’ for the match at the lounge. An LED-lit ‘runway’ leads guests to a dedicated entrance where inside they can enjoy top-flight hospitality, see Blues players past and present on Chelsea TV and watch the game screened live. Big business indeed. And with the World Cup now just a few months away more multi-million pound deals are likely just around the corner. CitiesBeautiful.org Launches Psychometric Test: What Is Beautiful?